Talent acquisition professionals of today must keep a pulse on the constantly changing landscape of recruitment. 2018 has been the year of reckoning for recruiters as more and more are making use of mobile recruiting. Oil and gas industry is no different, as it is exploring new ways to use e-recruitment technology to up their digitalization game. To bridge this gap between the talent and the opportunities, it is important to leverage the benefit of e-recruitment and collaborate with recruitment automation via app-based approach. App-based recruitment saves a considerable amount of time in the job posting, application storage, screening and shortlisting. A recruiter can maintain the process on-the-go and avoid any delay due to their on-site visits or other travel related activities. This means a definite growth of recruitment productivity as well as avoiding revenue leakages due to open positions. Time and cost saving is an obvious outcome of the app-based approach. However, it also aids in the quality of recruitment by reaching out to a wider audience, getting access to a larger database of applicants, shortlisting candidates based on the specific requirement that is crucial for oil and gas sector. Thus, boosting the overall quality of hiring. The millennials and GenX are mobile-friendly generations. They get familiar with the applications fast. 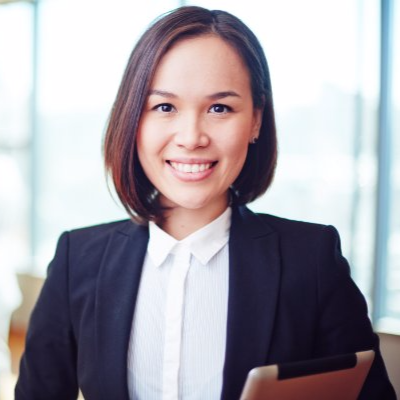 With the availability to get push-notifications on new job postings for the candidates, it is the ease of application which attracts applicants. Recruiters must ensure the app is user-friendly and intuitive to deliver better results for job search query. Companies in the oil and gas space have remained on backfoot when it comes to interaction with applicants. However, this sore spot is getting rectified with the mobile-based app. The chatbots allow the recruiters and applicants to communicate using email or messenger. The applicants can directly reach out to recruiters for any queries and concerns, and additionally, the recruiter can notify the candidates about the process of deadlines and on-boarding formalities. If you are recruiting exclusively for certain profiles, a mobile app can help you connect with potential contacts who are interested in the oil and gas industry. A networking platform like NrgEdge, that is specifically developed for professionals from the energy sector does not let the job postings get lost among requirements from other industries like IT and telecom. This gives you an advantage of promoting your posting in a niche forum. Some app-based platforms work on the artificial intelligence, where certain keywords or parameters are fed to shortlist the appropriate candidates. However, oil and gas industry is flexible and more skill-driven which means an applicant with atypical work experience can also be equally qualified for the position. This might be overlooked or rejected by the automated system. Hence human intelligence is still required to choose the right candidate. Sometimes, poor selection of keywords by the recruiter can trick the app to highlight or shortlist candidates who are not relevant to the search profile. It might just end up to be a more frustrating process to manually shortlist profiles from a wide pool of mismatched resumes. The web-based application is prone to hacking, virus or other data loss or data stealing which is a major concern for recruiters and professionals alike. In some situations, the company might ask for more information from the candidate apart from the ones mentioned in resume and profile. The candidate might not be comfortable sharing the details over an app leading to the delay in the onboarding process. There is no doubt that the app-based approach is the future and with the right approach to tackling the loop-holes, like right usage of keywords and proper security settings, it will turn out to be a win-win for both recruiters and candidates. 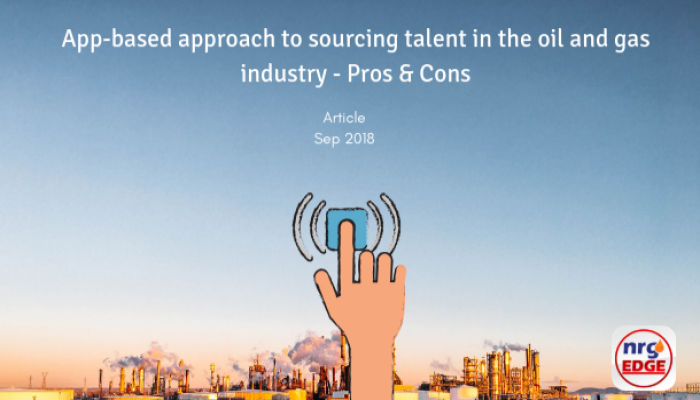 Oil and gas industry can take a step forward by cross-pollinating talents from other industries and an e-recruitment app can be the most crucial tool to achieve that.